Imperial College London is a world leading science-based institution, consistently rated amongst the world’s best universities. Imperial is developing its new White City Campus which will co-locate research, business and healthcare on a large scale. The campus consists of student accommodation, office space and academic buildings and is said to create 3,200 new jobs along with leading the regeneration of White City. 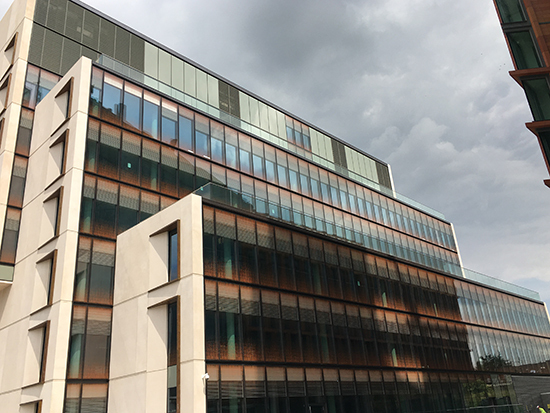 Kite Glass was pleased to be awarded this contract by GT Coulson which involved the use of toughened heat soaked laminate glass with SentryGlas Interlayer. 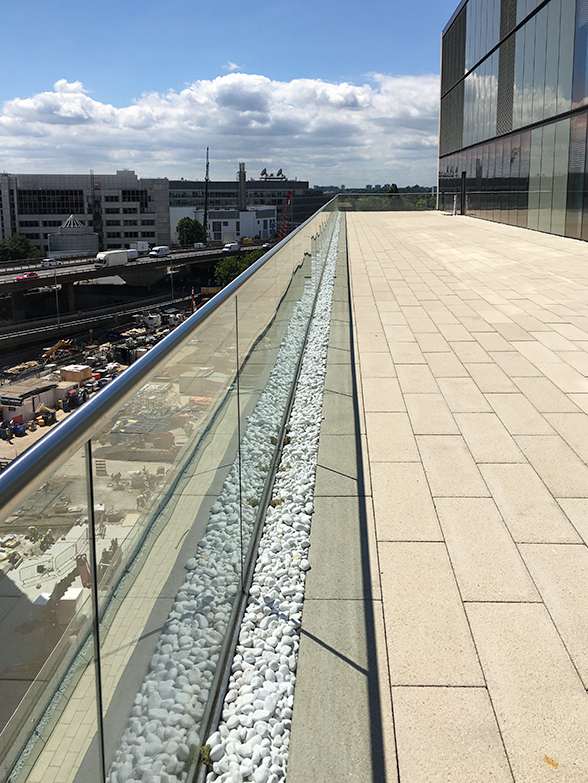 The project was to create clear balustrades overlooking the new campus using two different thicknesses of glass – 20.89mm glass across 468sqm and 21.5mm glass across 13.69sqm. The glass underwent various processes including heat soaking, which reduces the impact of breakages due to Nickel Sulphide inclusions, laminating with a structural interlayer to create slim glass balconies.